I printed it from the bottom to the top which required a lot of ‘supports’ to be printed. The next one I better print from the top to the bottom of the computer (I’m learning as I go 🙂 ). 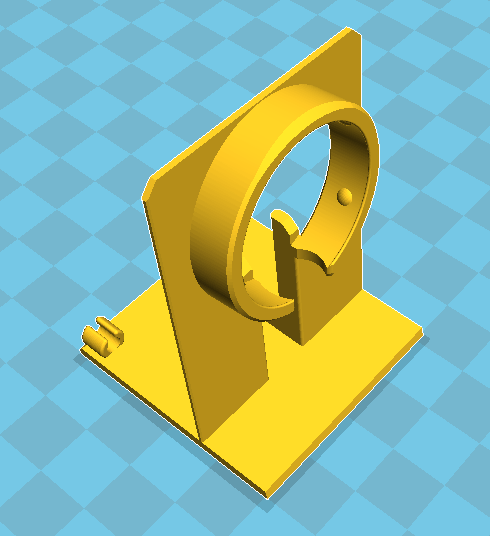 PS: If you don’t have access to a 3D printer: an option is to use a shared 3D printer in your area. Check for maker spaces and labs in your area, or for example go to https://www.3dhubs.com/ and there might be one in your area. 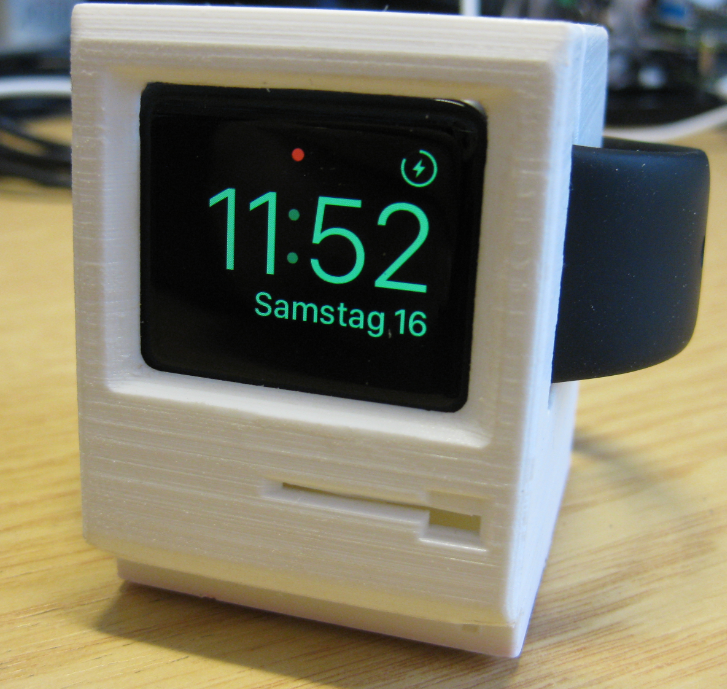 This entry was posted in 3D Printing, Tips & Tricks and tagged 3D Printing, Apple, Apple Watch, Thingiverse by Erich Styger. Bookmark the permalink. I was thinking to sand and pain the surface, but…. and I never picked you to have an Apple background. Acetone vapor/bath works great for smoothing prints. 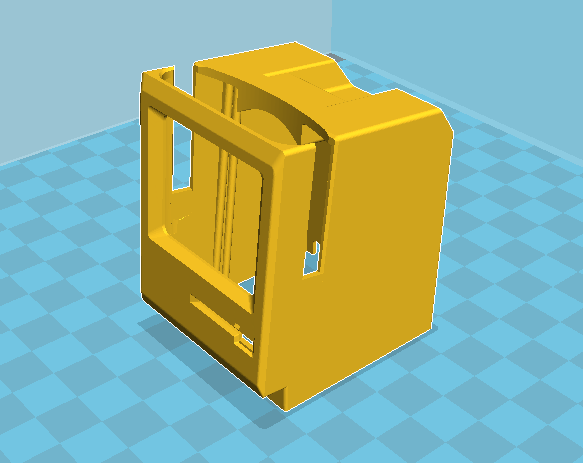 Yes, acetone works great on ABS, but usually not on PLA (which what I have used for that print). It seems that Acetone *might* work on some PLA brands, but to my knowledge it does not (would need to experiment with my PLA (I used Innofil). The other concern around Acetone of course is safety (always use good ventilation and safety precaution). 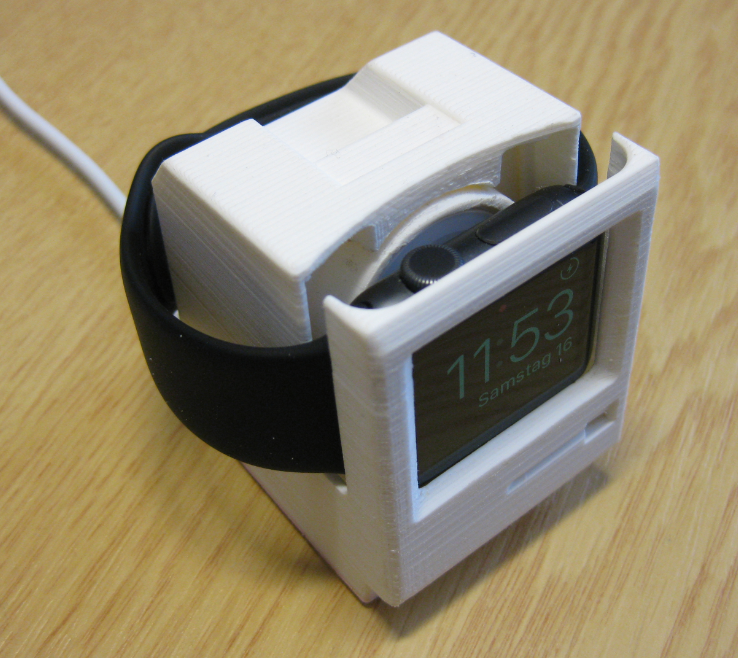 Apple should include this out-of-the-box for Watch owners! Yes, absolutely. Would be a much nicer charger experience than the default (bare) version :-).